Would more Al boost Democratic morale? Hillary Clinton’s handling of the State Department email scandal is causing Democrats such discomposure that some now suggest dumping her as the presumptive presidential nominee in favor of—wait for it—Al Gore. Weighed against the aforementioned cons are a series of practical pros. Gore has experience, having served nearly a quarter century as a member of Congress and vice president and come close to reaching the White House in 2000. He has “at least as much claim to the triumphs of the 1990s as Clinton,” he writes—referring to the Clinton who was then first lady. “He’s also won more elections than [Mrs.] Clinton—including the popular vote in a presidential campaign.” (True, though if you don’t cheat by counting 2000 as a win, his last victory without Mr. Clinton on the ticket was in 1990.) And with those complicated finances come connections that could be awfully useful in raising money for a campaign. For Klein, however, all this is somewhat beside the point. What he really hopes Gore will give the Democrats is meaning and purpose—the ability, as Klein puts it in his lead paragraph, to “discover new dreams.” What’s wrong with the old dreams, according to Klein, is that they’ve all been realized. When it comes to climate change, there’s no one in the Democratic Party—or any other political party—with Gore’s combination of credibility and commitment. Bill McKibben, founder of the climate action group 350.org, calls Gore’s work on the issue “the most successful second act of any political life in U.S. history.” Perhaps that’s hyperbole, but it speaks to the regard in which Gore is held by climate activists. Though he’s been out of office for 15 years, he’s never left the climate fight. Gore has proven himself the opposite of those politicians who love the game more than they care about the issues. The issue of climate change ranks behind the lack of jobs (22%), the increasing gap between rich and poor (18%), health care (17%), the budget deficit (13%), immigration reform (10%), and the rising cost of education (9%). This after decades of propaganda designed to convince Americans that, as Klein puts it, “climate change is an existential threat”—not just real and man-made but urgent. 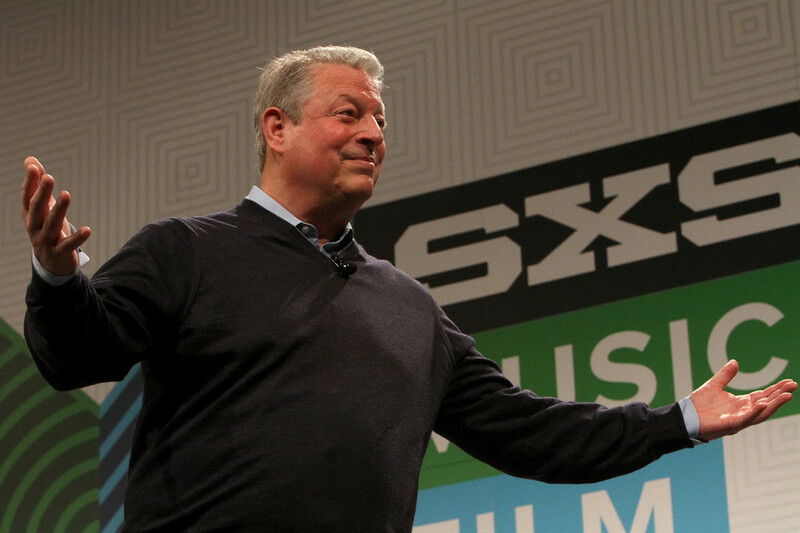 No one has been more central to that propaganda effort than Al Gore. Why should one think it would be any more persuasive coming from a presidential candidate? Klein doesn’t seem to think it would be: “Single-issue candidacies rarely go far in American politics,” he acknowledges, “but then, Gore need not be a single-issue candidate.” He goes on to cite approvingly, among other things, Gore’s positions on Iraq and health care—the subjects whose political importance he earlier dismissed. His most recent book, ambitiously titled The Future, runs through the six forces he believes are changing the world: a globalized network of governments and corporations he calls “Earth, Inc.”; worldwide communication technologies that are leading to the emergence of a “global mind”; massive shifts in power from West to East and from government to corporations; an economic system that too often devastates natural resources; revolutions in genomics, biotechnology, and other life sciences; and, perhaps most optimistically, the beginnings of a revolution in energy and agriculture. Perhaps this is interesting if you like futuristic speculation, but it’s rather far afield from a political campaign. For our part, we doubt we’ll be picking up “The Future.” We read one of Gore’s earlier books, “The Assault on Reason” (2007), and we were unimpressed. Meanwhile, in Washington, the Chairman of the Senate Committee on Environment and Public Works is throwing snowballs on the floor of the Capitol because he believes cold weather outside his office proves global warming a hoax. This was his rebuttal, by the way, to news that 2014 was the hottest year on record. Something has gone very wrong in American politics. At any rate, that last Klein quote shows why Gore is Vox’s perfect candidate: He’s someone who knows he’s right about everything and never tires of explaining why. He wouldn’t be the first president to fit that description, but Barack Obama was young and cool.